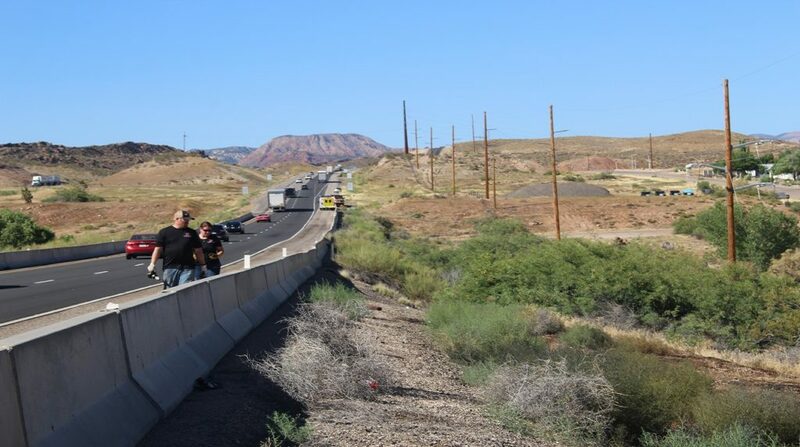 WASHINGTON COUNTY — A couple escaped injury Thursday afternoon while driving north on Interstate 15 when the transmission on their truck suddenly blew out, sending shattered metal scraps and parts flying. 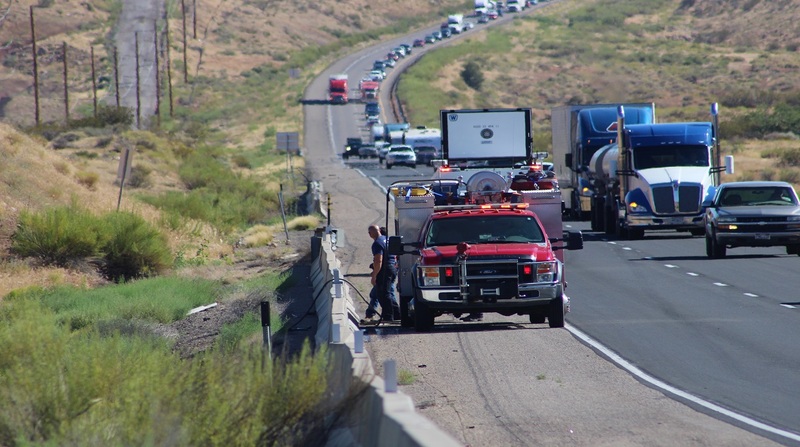 Just before 5 p.m., officers and emergency personnel were dispatched to a reported truck fire on Interstate 15 northbound just south of Exit 22 near Leeds. 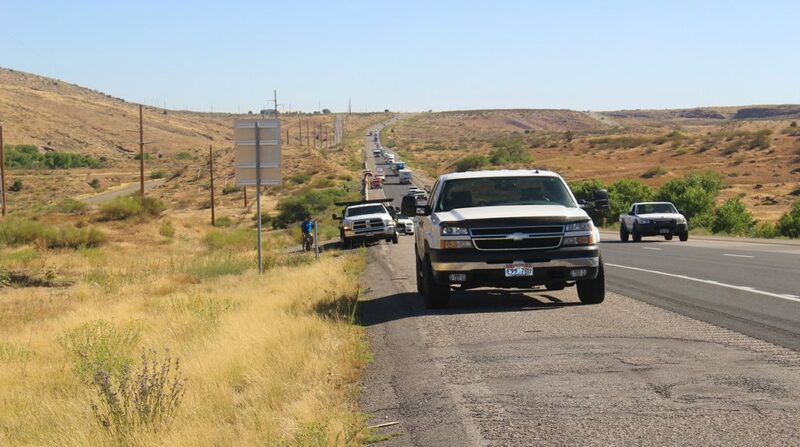 Upon arrival officers found a white Dodge dually pickup truck towing a long, flatbed trailer stopped on the right hand shoulder of the Interstate, Utah Highway Patrol Trooper Mike Murphy said. 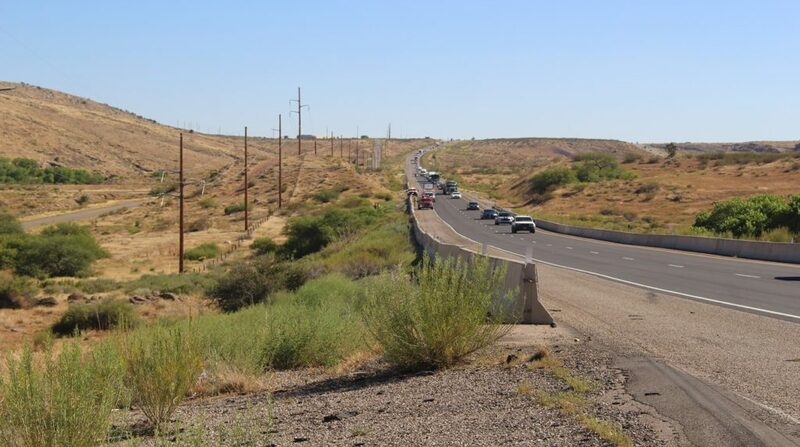 Approximately 200 yards south of where the truck stopped, a small brush fire was discovered off to the right-hand side of the highway, Murphy said. 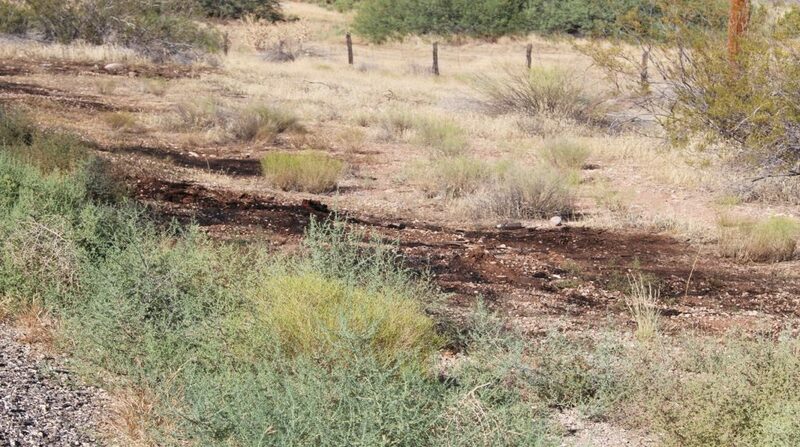 Firefighters were able to extinguish the brush fire quickly, and continued dousing the area with water for some time in case any areas were still smoldering. Murphy interviewed the couple, who told the trooper they heard a loud crash and felt a jolt, as if something had broken off their truck as they were driving uphill. The man driving immediately pulled the truck over and quickly realized the transmission had blown while the truck was moving, sending spinning machine parts out of the fractured transmission and directly into the brush on the side of the Interstate. When they saw the brush fire, that’s when they called for help, the man said. 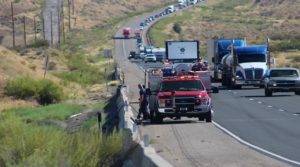 The couple was hauling parts up to Salt Lake City, a route they drive weekly, the woman told St. George News. No injuries were reported with the incident and the truck was towed. Traffic was disrupted temporarily while emergency responders tended to the scene and extinguished the fire. 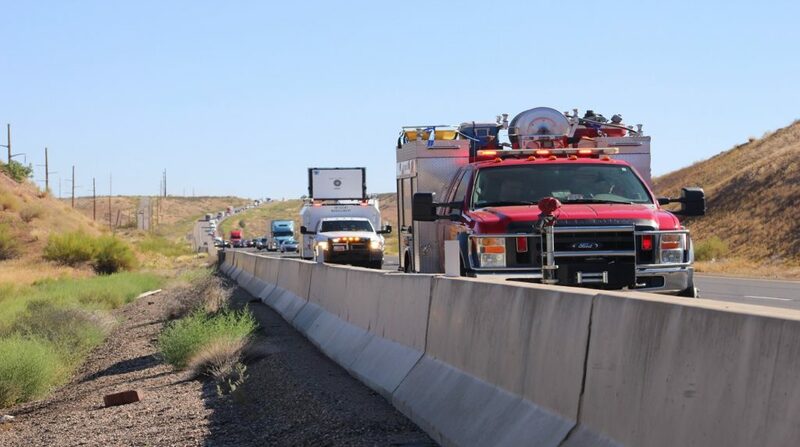 The Utah Highway Patrol, Hurricane Valley Fire District and Utah Department of Transportation Incident Management Team responded. “The couple was hauling parts up……..” Please, please find a proof reader soon!